We believe that the recent setback offers attractive entry points to the FAANG stocks as we see the move to 5G as the next leg of growth driven by digitization from which the FAANG stocks should benefit the most. 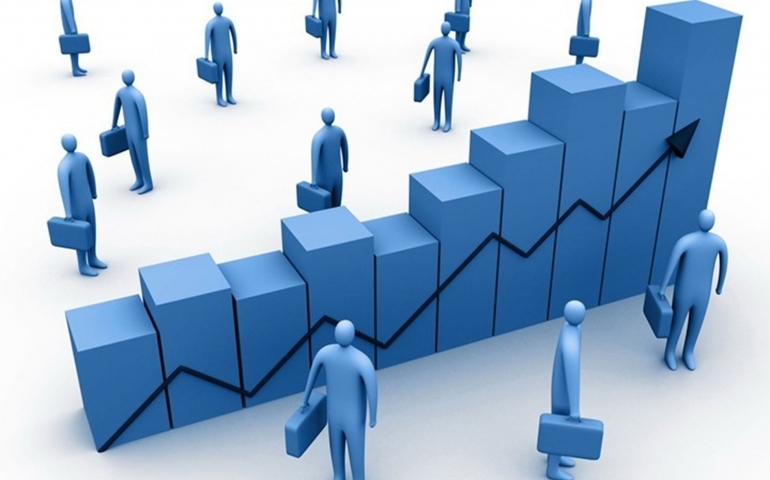 The setback for the IT sector started at the beginning of September when the semiconductor equipment company KLA-Tencor presented at a technology sector investor conference and stated that the growth outlook for the semiconductor industry in the near to mid-term might slowdown. In the following weeks, semiconductor stocks across the board came under pressure. This affected other IT stocks and also the so-called FAANG stocks, which had been the strongest performers on the Nasdaq regulatory issues (e.g., tax and data privacy) may not go away, we believe that the size of the correction justifies taking a closer look again at the stocks as we see the regulatory impact on their businesses as limited and as more of sentimental in nature. The chart below shows the aggregated share price performance of the FAANG stocks and the aggregated EPS growth and consensus outlook for the group of stocks. It shows that their share price performance has been well supported by earnings growth. While we assume that the growth rates might be a bit lower next year compared with the extraordinarily strong growth in 2017–2018, we continue to expect solid and above market average earnings growth going forward. 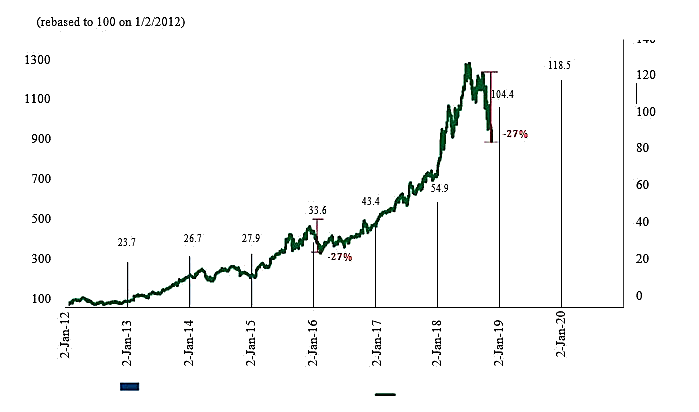 We consider the correction as similar to the one we had in H1 2015-Q1 2016, which also started with a slowdown in the semi-cycle and emerged later as a preparation for the next leg of growth. The move to 5G is in our view the next leg of digitization from which FAANG stocks should benefit the most. From the five stocks, Alphabet is part of our US Top Picks list. Correction so far not much different from the last correction in 2015–16. Until end-September. From 1 October, the FAANG stocks have dropped between 14% (Google) and 30% (Netflix). Facebook, Apple, and Amazon have dropped by 18%, 21% and 25%, respectively, and investors have started to ask whether this is the end of the nine-year upward trend or a buying opportunity. We believe the latter is the case. Firstly, Q3 reports of the FAANG stocks were pretty solid and the next quarter outlooks are not really something to be concerned about with regard to a change in the positive underlying trends and their ability to create further shareholder value (although in the case of Amazon the result was weaker than expected). Secondly, although trade tensions between the USA and China along with Brexit indeed can have a negative impact on the overall global economic activity, as far as the FAANG stocks are concerned, there appear to be no direct impact, and this should not change going forward. Thirdly, while we have been recommending for a while now to diversify away from the FAANG stocks into other attractive areas of the IT sector.